During this 6-day retreat you will learn how to re-awaken your mind and body through yoga and meditation practices centered around sensory awareness and cultivating intuition. 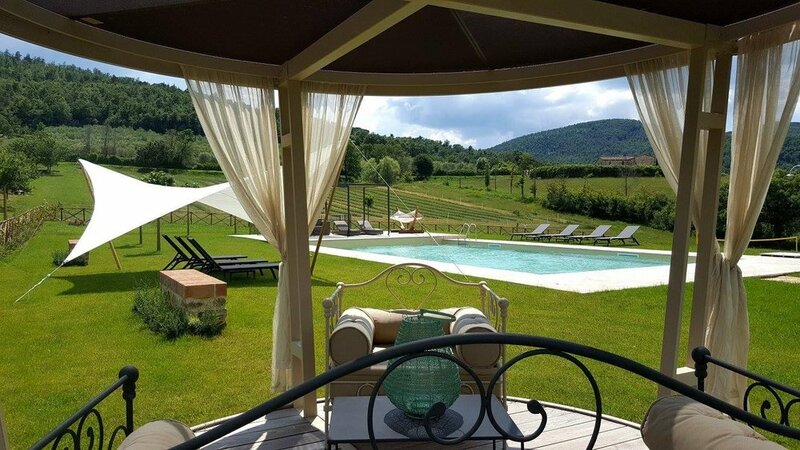 You will get to enjoy the beautiful landscape of our private villa in Tuscany, nourish your body with incredible homemade meals and explore hidden gems in the surrounding the region. This retreat is for anyone looking to dive deeper into their personal practice— the practice of yoga and the practice of presence, both on and off the mat. This is a 6 day journey in the art of awakening; a chance to dive into the depth of who are, to feel into the flow of your being and to ground yourself in practices that bring you into greater presence. YOGA & MEDITATION: Yoga and meditation are gateways for you to discover greater clarity, creativity and contentment within yourself. Our daily asana and meditation practices are carefully curated to complement each other, honoring the power of movement as a way to find and feel stillness within. Through creative, thoughtful sequencing and sensory meditations we will draw greater awareness to energetic channels in the body, helping to unwind what is stuck, unleash what is rigid and uncover what lies beneath your limiting beliefs. FOOD: We have a strong appreciation for incredible, nurturing food. After all, we ARE going to be in the heart of Italy! We believe that nourishing the body with fresh ingredients and bringing greater awareness to how we are preparing and taking in our food is a spiritual practice in itself. Our private chef will prepare three delicious, healthy meals per day with vegetarian and gluten-free options available. We will also have a personal cooking class onsite where we will prepare and enjoy a beautiful meal as a group. 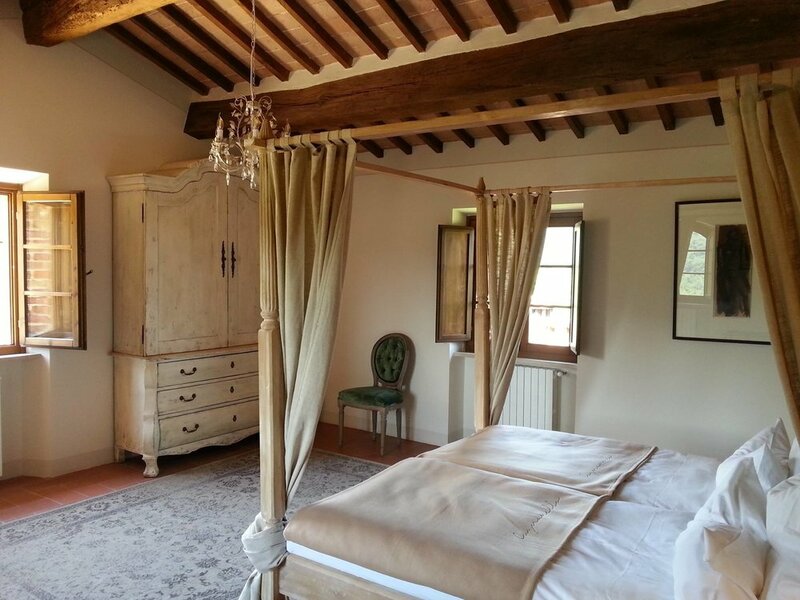 LUXURY ACCOMMODATION: Luxury is the best word to describe the accommodations for this retreat. Both single and double rooms are available with private and shared bathrooms. At the villa you will have the opportunity to enjoy the surrounding land, including the saltwater pool, bocce ball and volleyball courts, indoor gym and massage room. Your home for the week is the perfect place to pause: to rejuvenate, renew and realign. Dinner pizza party- we will prepare our own pizzas to cook in a 200-year-old brick oven! Tuscany is known for its beautiful landscapes, history, culture, and cuisine. It is the perfect setting to fall in love with the simplicities in life and truly drop in to the present moment. Tuscany and the villa itself is a magical place to practice yoga, enjoy incredible food and gain perspective on what matters . Having grown up competitively figure skating and dancing for nearly 15 years, I not only learned to love the art of movement, but early on, understood the power of the mind as it relates to the physical body. To this day I credit yoga as the practice that brought me home to myself— back to my body, back to my breath, and back to my heart. I quickly became enthralled in and inspired by the many parallels I saw between the asana practice on the mat and the overall path of yoga off the mat. I completed my first 200-hour teacher training in Cleveland, Ohio in 2011 and have since continued studying and practicing with master teachers including Janet Stone, Elena Brower, Jason Crandell, Tiffany Cruikshank and Stephanie Snyder. I am also a writing contributor to Elephant Journal and Teach.Yoga. I teach a soulful, heartfelt and fluid vinyasa class, rooted in healthy alignment, creative sequencing and themes around finding center, cultivating intuition and embodying stillness in the midst of movement. In teaching, I hope to inspire students to embody the essence of yoga on and off the mat-- moment to moment, breath by breath. Having suffered from a chronic illness at a young age, I had to make the decision early on between leading a life of vitality or hiding in the patterns that weren't serving me. Wellness begins with the relationship we have with our minds and our capacity to trust what our bodies know. I currently coach professionals on how to hone their intuition or"knowing" and live with greater clarity, inner peace and wellbeing. I have a background in tech working for companies like Facebook and Blackbox.vc. Being among highly cerebral and overextended entrepreneurs was the initial incentive to study mental health through the lens of Buddhist, Taoist and Vedic traditions. I spent two years living in Asia exploring ways to make meditation and mindful practice more accessible for Westerners. In 2014 I founded Realign Retreats in Bali, Indonesia for tech founders and entrepreneurs to learn how to reboot their minds and lead their companies from a greater sense of wellbeing. You can find out more about my work at Realigndaily.com. CONTACT US HERE FOR ANY INQUIRIES. *Realign Retreats are worldwide experiences for people to understand and transform their bodies and minds with renowned teachers. Locations and instructors vary. To check out what we've done in the past, watch this video from Bali, Indonesia.